What is the proper way to taste wine? Is it really appropriate to slurp your wine as you might a hot soup? According to a “wine expert” friend of mine, she says it is and maintains that all the experts do it. What do you say? 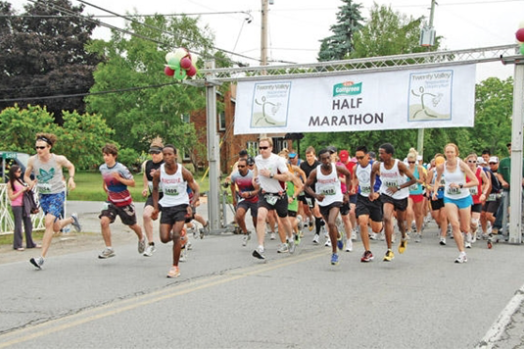 TWENTY VALLEY NIAGARA WINE COUNTRY RUN. Be a part of sports history! Be sure to join us for an incredible weekend June 13th & 14th as Georgia retreads her running shoes and Susanne dusts hers off in time for the inaugural Twenty Valley Niagara Wine Country Run. Fashioned after the famous Medoc Marathon held every year in Bordeaux, you can be a part of wine and sports history! Run through Ontario’s stunning vineyards, over big green hills and take in the sun bright in the early summer sky. Test your Legs-Treat your taste buds! Situated in Niagara’s lush Greenbelt, just an hour’s drive from Toronto or Buffalo, Twenty Valley is home to many of Ontario’s and Canada’s premiere wineries and the perfect destination for this year’s leisure & casual run. All participating wineries crafting fine VQA wines will be offering personalized tours & tastings on Saturday June 13th at the wineries and at the runner’s expo. To find out the scoop set that radio dial to CP24 Radio 1050 or listen online Saturday morning May 30th at 10a.m. to connect with The Wine Ladies radio show. “Test Your Legs and Treat Your Taste Buds” at the inaugural Twenty Valley Niagara Wine Country Run, sure to be an historical event, our topic for this Saturday’s show. Be sure to join us as we welcome our guests Elliot Kerr, President of Landmark Sport Group, AJ McLaughlin, proprietor of Angels Gate Winery and Nicolette Novak of the Good Earth Cooking School, passionate about this event. Whether you choose to race or stroll, the vineyards beckon as do the premium wines of Twenty Valley. See you there. Remember don’t whine about the run!.enjoy wine while you run! https://www.thewineladies.com/wp-content/uploads/2009/06/Screen-Shot-2018-06-06-at-6.11.12-PM.png 349 524 Susanne Seelig-Mense https://www.thewineladies.com/wp-content/uploads/2017/08/WineLadiesLogoTransparent.png Susanne Seelig-Mense2009-05-29 12:00:012018-06-06 19:09:30TWENTY VALLEY NIAGARA WINE COUNTRY RUN. Be a part of sports history! Last weekend at one of our favorite restaurants, we ordered a bottle of wine that we’re very familiar with. We felt a little awkward sending it back, but did it anyways. The server was fine with it but afterward we wondered what could have been the reason the wine tasted so badly. Does it have to do with the cork? Romantic Dinner for Two Restaurant: Capers Brasserie & Wine Bar, Belleville,Ontario. Now you can enjoy a romantic evening for two, finely crafted for you in the grandeur of one of The Wine Ladies specially selected restaurants located in and around the GTA as well as in select cities across Ontario. Outstanding value for only $199, your romantic dinner features a unique range of fine dining menus which could include wine pairings, a delicious cocktail, your special table with a view, an amuse bouche created just for you, a scrumptious desert or maybe even a visit from the celebrity chef himself. 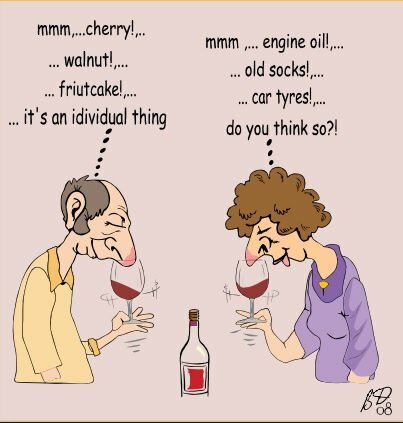 https://www.thewineladies.com/wp-content/uploads/2017/08/WineLadiesLogoTransparent.png 0 0 Susanne Seelig-Mense https://www.thewineladies.com/wp-content/uploads/2017/08/WineLadiesLogoTransparent.png Susanne Seelig-Mense2009-05-26 12:00:012009-05-26 12:00:01Romantic Dinner for Two Restaurant: Capers Brasserie & Wine Bar, Belleville,Ontario. We’re throwing a party over the holiday weekend to celebrate the move into our new home, which we have finally taken possession of. It’s been a long while since we’ve entertained and are unsure as to how much wine to buy. Is there some kind of formula to figure out how much we will need? We’ve heard a lot of fan fare lately about Argentinean wines representing awesome value to the consumer, which is great, but I also heard that Argentina is involved in fair trade winemaking. Is this true and if so, what does that mean exactly? I’d love to know more. Am I right about the good value? Find out what’s on The Wine Ladies’ Radio Show.